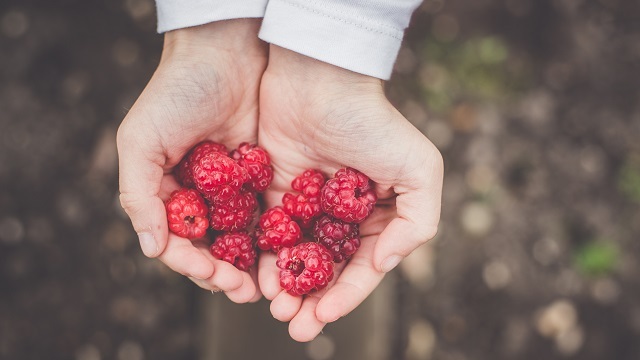 In the wake of many recent natural disasters, local restaurants have raised the bar of hospitality and goodwill to step up to help those in need, showcasing the dedication and compassion of Illinois' outstanding culinary community. Nationally, restaurants have been anchors of the community following catastrophic events, offering food, shelter, and a comforting atmosphere during trying times for families and employees alike. Many IRA members are among those doing what they can to assist with everything from donations, to events, to special menu items going toward relief efforts. 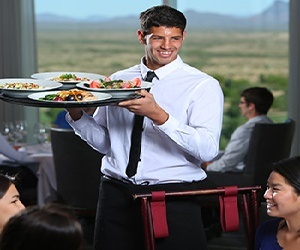 "In the restaurant industry, we take care of one another," said Sam Toia, IRA President & CEO. "Helping families and communities in need throughout the United States and throughout the world following devastating events perfectly illustrates the Midwestern hospitality and generosity of Chicago and Illinois' restaurateurs." Sam Toia and IRA Second Vice Chairman Sam Sanchez, owner of Old Crow, Moe's Cantina, and John Barleycorn, recently joined business and civic leaders throughout Chicago at an event to promote public and private efforts for disaster relief from the City of Chicago. "We are very blessed to be in this country and very fortunate," said Sanchez. "To support someone less fortunate is an obligation as a human being." The City has created their Hurricane and Earthquake Disaster Relief website that includes a list of verified charities and organizations assisting with these efforts. The IRA is proud of our member’s philanthropic initiatives in light of recent events, like the ones highlighted below. Hurricane Maria wreaked havoc on Puerto Rico, immobilizing the island. For Master Sommelier and Puerto Rico native Serafin Alvarado of Southern Glazer's Wine & Spirits whose family and friends were directly impacted, the devastation certainly hit home. Alvarado joined forces with fellow Master Sommelier Alpana Singh of Seven Lions/The Boarding House to organize Somms & Songs for Puerto Rico Sunday, November 5 at The Boarding House. The afternoon will feature tastings of fine wine, Puerto Rican-influenced bites, and a performance by Alvarado’s band The Rack & The Riddler, all benefiting the American Red Cross. James Beard Award-winning Chef Sarah Grueneberg rolled out several special Texas-inspired items on Monteverde’s lunch and dinner menus. Proceeds from the Houston-native’s dishes - which include grilled Texas redfish with tomato-rye panzanella and wok-fried shrimp arrabbiata with black tagliolini - will support the Greater Houston Community Foundation's Hurricane Harvey Relief Fund. Throughout October, Three Dots and a Dash is donating $1 to the American Red Cross' hurricane relief efforts for every signature Three Dots and a Dash cocktail sold. The Lunatic, The Lover & The Poet is raising money to help The Soggy Dollar bar in the British Virgin Islands, which was destroyed by Hurricane Irma. Chicago restaurants Frontera Grill, Topolobampo, Fonda Frontera and Leña Brava recently raised a glass to Mexico by donating proceeds from their “Fuerza Mexico” mezcal cocktail to Global Giving’s Mexico Relief Fund. The fund provides funding directly to those who were providing “boots-on-the-ground aid” to help first responders to meet the immediate needs of survivors and to transition into long-term recovery efforts. The French Pastry School recently demonstrated that a little sweetness could go a long way with their hurricane relief efforts. 61 students, alumni and chefs, along with The French Pastry School and 14 supporting companies came together to aid in the ongoing hurricane relief efforts in Houston and South Florida by doing what they do best -- baking. The team set out on a mission of massive proportions, quite literally. Through 1,600 lbs. of butter, 1,500 lbs. of flour, 13,900 cups of ingredients, and 17,000 minutes of baking, a total 1,100 trays of cookies were born. The 2,400 miles to get to Houston and South Florida were all worth it when The French Pastry School team got to hand deliver the 60,000 cookies to locals of all ages, coming face to face with the devastation and providing a bit of relief through delicious treats. The Vig restaurant in Chicago is working to help raise funds to build a school in Haiti with upcoming event, “Chicago 4 Haiti: Let’s Build a School” benefiting The Haiti School Building Project. The event will raise funds to continue the construction of a school in the remote countryside of Haiti, a cause that is close to heart for The Vig Owner Ryan Marks, whose niece was adopted from Haiti after natural disasters caused major devastation. The event, taking place on Sunday, November 5, will consist of special celebrity chef cuisine, silent auction, and more. In light of the recent wildfires that are devastating Northern California, many organizations are stepping up to lend aid to those who have had their lives, homes, and businesses affected. Those interested in helping to support this cause can check out programs such as Airbnb’s Open Homes, working to bring together volunteers to provide evacuees with housing and the Napa and Sonoma County Fire Relief, founded by Napa vintner Jake Kloberdanz which supports local fire and rescue providers. Find more information about the above causes and how to give back below: Mercy Chefs for Hurricane Relief, The American Red Cross, Greater Houston Community Foundation's Hurricane Harvey Relief Fund, Haiti School Building Project, Virgin Airlines/Richard Branson Relief Fund, Global Giving. Additional Northern California Wildfire Relief Resources: Napa Valley Community Foundation, Community Foundation Sonoma County, The Salvation Army. This month, we chatted with Brian Jupiter, Executive Chef at Frontier. Chef Brian shared why he enjoys working with ProStart® students, how Southern flavors influence his cuisine, and his plans for growth in the future. I’m from New Orleans, and I’ve been cooking since I was 15 when I started in a restaurant while in high school. I went to culinary school in Miami, and I moved to Chicago in 2003. After that, I took a job at Narcisse, then at Bella Lounge, and I spent a little time teaching at Washburn Culinary School. I linked up with Pioneer Tavern Group, and we’ve had Frontier now for about 7 years. What’s your favorite thing about Southern cooking and how does it influence your current menus? Southern food is flavorful and it represents a history. In some ways, all of what I cook and my overall style is inclusive of Southern and New Orleans flavors. It’s the root of a lot of other food, especially from New Orleans where you have a bunch of other influences from French to Spanish to Italian to African. You have this blend of all of these different spices that you can break apart or mix all together to create something that’s unique. My favorite dish from New Orleans is a really good gumbo with potato salad. It brings me back home. Tell us about your work with ProStart®. What is the benefit of working with students? A lot of these students don’t even know how talented they are. They’re just sort of going through the motions, but so many of them have this given skill. The good thing about ProStart® is allowing high school students to learn and experience something before deciding what they’re going to do in college. It can save a whole lot of money if it helps steer a student in the right direction. A lot of people go to college and have a lot of debt, and sometimes the pay coming out of college doesn’t set them up for success. With ProStart® students, they almost have a head start because they already have those fundamentals. The students who do decide to go on to culinary school, their first year will be pretty simple because they have the solid base. I’ve always been around good food and hard working people. That’s what I’m always trying to emulate—a great work ethic and a love for what I do. When it comes to working with students, especially African American students, it helps me continue to grow by showing them that people that look like them are doing something that they might not even have considered a real profession. When I was growing up, I thought being a chef was cool, but did people really do that? These students really have an amazing opportunity and if they love cooking, they can really hone in and be something by the time they’re 21. Standout students can virtually pick where they want to work because everyone’s looking for great talent. Growth, particularly business growth. All chefs have to position themselves as business people at some point. That’s where I’m headed now, looking at spaces, building concepts out, really trying to build a business that’s going to be successful until I can hand it off to my children. I’m looking at a lot of things on the South Side. It’s always been a dream of mine to have something down there. Hopefully we’re looking at a few new concepts next year. Any advice for aspiring chefs and restaurateurs? Make sure you want to do it. It’s not something where you just can skate by, half-way loving it. It will wear you out. To the people that want to be restaurateurs, make sure you know the business. We see concepts close all the time that had good food and loyal customers, but the wrong business plan. And if you’re trying to cook, make sure you love it or it will be a waste of your time. 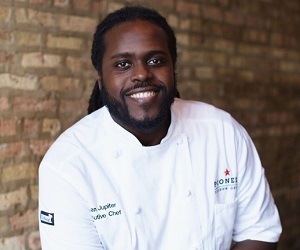 Visit Chef Brian Jupiter at Frontier in Chicago's Noble Square neighborhood. Visit thefrontierchicago.com to make a reservation today. The Illinois Human Rights Act (IHRA) was recently amended to clarify an employer's obligations to accommodate an employee's sincerely held religious beliefs. The IHRA now limits employers from implementing requirements or prohibitions on clothing or facial hair that interferes with an employee's sincerely held religious beliefs. For example, an employer cannot require an employee to wear a uniform if it would conflict with a religious belief, unless doing so would be unreasonable or create an undue hardship on the employer's business. Important to note - the law provides exemptions for dress code or grooming requirements that are required for food safety and sanitation. The requirements of this law are similar to existing requirements under federal law. Employers should review their dress code and accommodation practices and policies to ensure compliance with both Illinois and federal law. Performance Foodservice – Fox River continues to grow and evolve in the greater Chicago market. Since becoming part of Performance Foodservice, the nation’s third largest broadline food distributor nearly five years ago, PFS-Fox River has steadily integrated its systems and operations into the overall Performance Foodservice corporate structure. The company is now well positioned with a tighter geographic footprint, a common IT platform, and complete product offering to support our current and planned growth throughout Chicagoland, Northern Indiana, and the greater Milwaukee area. An area of particularly rapid growth continues to be in the pizza and Italian segment. 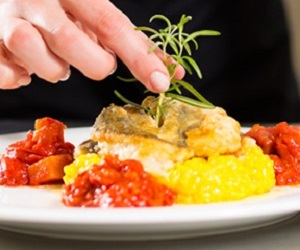 Performance Foodservice features the Roma family of Italian products, reflecting the more than 60 years of heritage and expertise of Roma founder Louis G. Piancone. The company recently sponsored the Italian Feast on the Riverwalk as part of this year’s Chicago Gourmet festivities. The event, which featured several of the distributor's most popular products, showcased the commitment of Performance Food Service – Fox River to this vibrant segment in the culinary community. For more information please visit performancefoodservice.com/foxriver. Pastoral Celebrates 10 Years in the Loop! 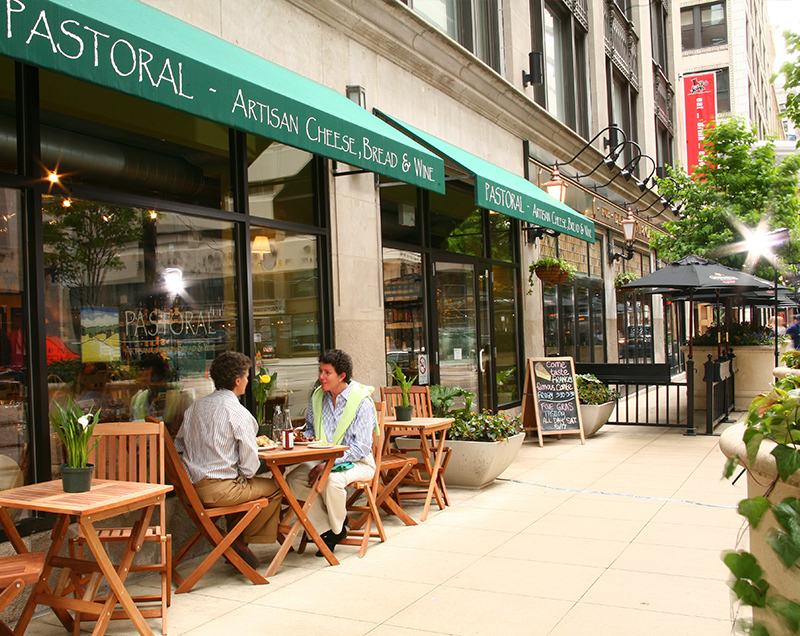 Pastoral Artisan Cheese, Bread & Wine, Chicago’s award-winning hometown specialty food and wine retailer, is celebrating its tenth anniversary in the Loop. Everyone is invited to join in the delicious fun and take some home as well. “In 2007, when we were asked to be a part of the MDA City Apartments building at Lake and Wabash, there were no specialty food retailers at all in the area. Ten years later, we are still the only independently owned shop of our kind in the Loop, a neighborhood that has changed considerably in the last decade. The residential and business community around us has been so supportive and we hope they will come out to celebrate our 10th anniversary,” said Greg O’Neill, who along with Ken Miller, are co-founders/co-owners of Pastoral and its two wine bar and restaurants, Bar Pastoral and Appellation. From October 20 to 30, Pastoral will offer events and special $10 pricing on select popular food and wine. To kick things off Friday, October 20 from 4:00 to 7:00 p.m. the store will host a Raclette Party, with $10 plates of the gooey, indulgent, traditional “melter”, over mounds of accompaniments. Additionally, on Tuesday, October 24 at 7:00 p.m. Pastoral will host “Trick or Cheese”, a special Halloween themed pairing class offering favorite cheeses, local confections and craft cocktails for $30 per person. Pastoral sells specialty cheese to over 100 of Chicagoland’s finest restaurants, hotels and caterers, and offers a variety of options for holiday gifting and entertaining needs for celebrating with family, friends and colleagues. For additional anniversary and reservation information, please visit www.pastoralartisan.com.